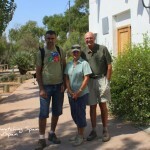 I have spent a great time birding in the Albufera de Valencia with Verna and Bob from Canada. The Albufera de Valencia is one of the hot spots for birders in Spain, with a good number of rarities showing up during this time of the year. 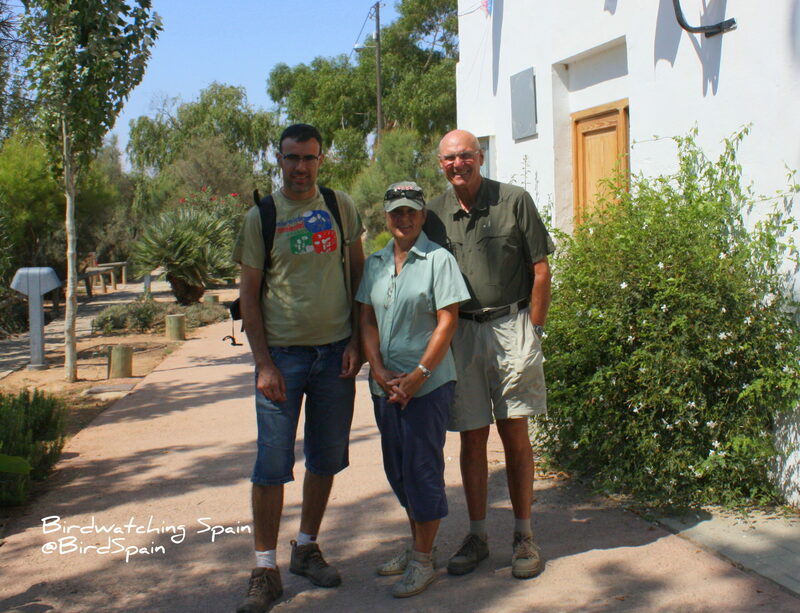 I hope you find useful this trip report Albufera de Valencia. It’s 7:00 and I am picking Verna and Bob from Oliva where they are staying. After 50 minutes driving we arrive to our first stop, “el Tancat de la Ratlla”, a reserve surrounded by paddy fields and managed particullary for waders. There has been very interesting records in the area during the previous weeks. In the Tancat de la Ratlla, we managed to see a good number of waders such as Black-winged stilt, Collared Pratincoles, Little and Ringed Plover, Dunlin, Curlew Sandpiper (some in full winter plumage while others just started to molt), Little Stint, Wood, Green and Common Sandpipers, Common Snipe and Ruffs. There were also Little Terns, Kingfishers, a Glossy Ibis and Yellow Wagtails. Verna spotted a Tern which turned out to be a Gull-billed Tern. Meanwhile, mixed flocks of Sand Martins and Barn Swallows feasted on insects. 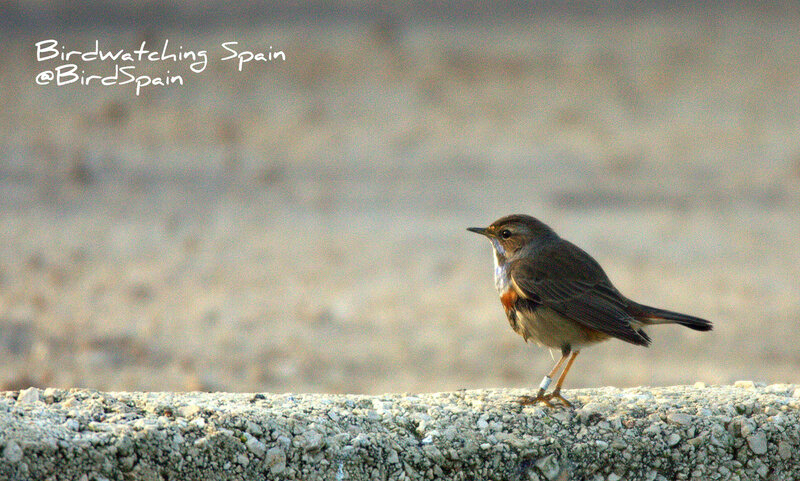 Later, as we walk along the ditch to get good views of Reed and Fan-tailed Warbler, we found two beautifuls males of Bluethroats chasing each other. Fantastic bird! 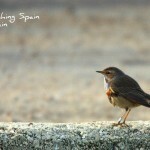 Before leaving, we got a quick view of a Cetti’s Warbler. Our next stop was “El Tancat de la Pipa”. There, from the tower we watched Purple Heron, Little ,Cattle and Great White Egret, Purple swamp-hens (2 adults + juv), a pair of Red-crested Pochards, Gadwall, Marsh Harriers and a Little Bittern which sadly is missed by Verna. On the way back to the car, a Greenshank and a group of three Caspian Terns (at least one of them was a juvenile) flew above us. They are probably the sight of the day!. We need to charge batteries so we go the local restaurant to enjoy some local cuisine “all i pebre” (eels with garlic and potatoes) and some rice with prawns for a main dish. Delicious! Finally our last stop is in a lagoon close to the Saler beach. There we found Common Redshank, an Oystercatcher, Turnstones, and a group of juveniles Greater Flamingos dancing to stir the mud to filter their food. Being the weather hot, we decided to drive back to Oliva and rest as tomorrow we will be heading to the Steppes of Albacete.